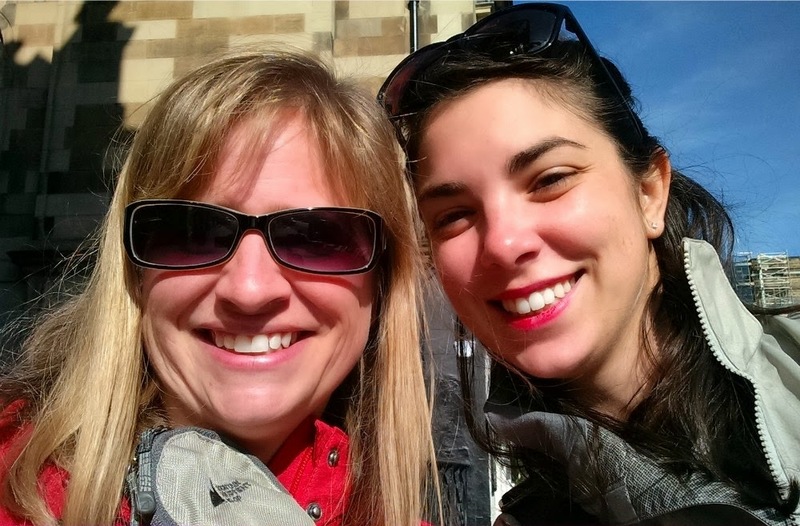 Continuing my photos from our month of European Adventures, September 2014. 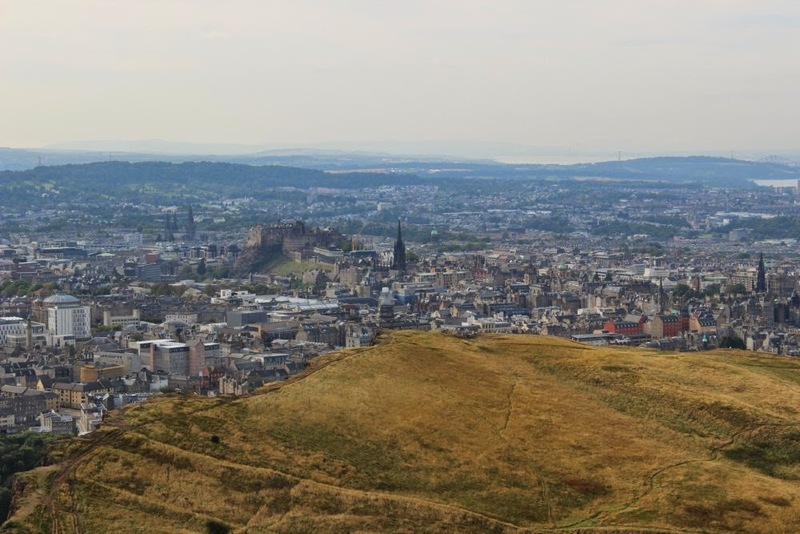 Our second day in Edinburgh started off with something really special: tea and breakfast with Tanya of 52 Books or Bust. She reached out to me before my trip when she saw I'd be in her town, and you know I won't pass up an opportunity to meet another book blogger. I saw Tanya read drink tea in real life! 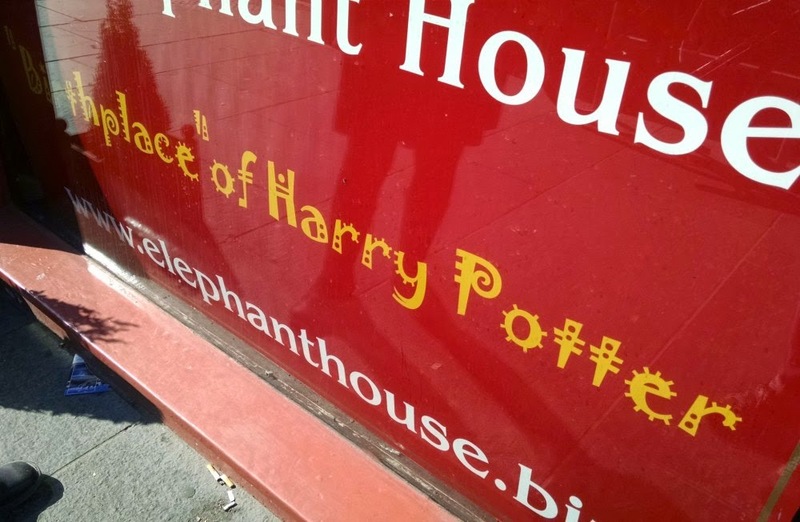 Plus it didn't hurt that we met at Elephant House, the spot where the great Rowling herself sat to ponder Harry Potter's story. Where it all started. Seating in the seats of great minds. Etc. etc. etc. 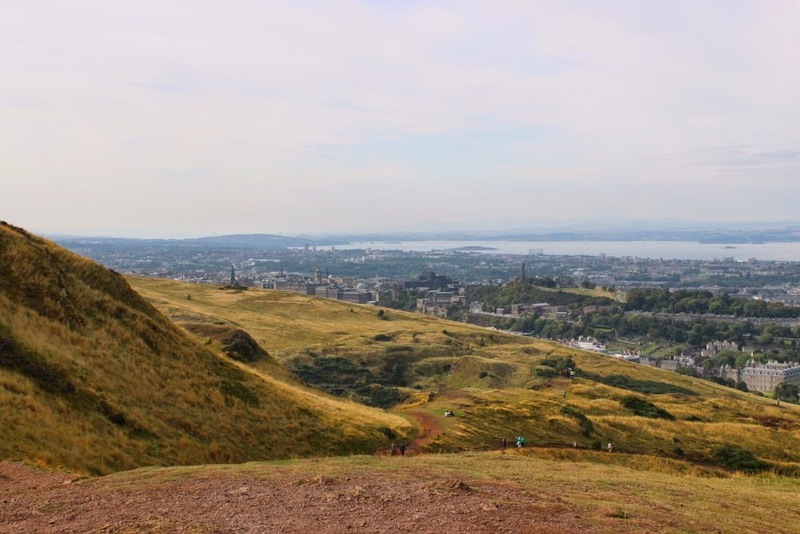 On Tanya's recommendation, and with our otherwise useless little guidebook in pocket, we decided to walk over to Arthur's Seat that afternoon. We contemplated stopping in Holyrood House (one of the Royal Family's palaces), but at £16/person (nearly $32, for those doing the math), we decided the gates were pretty enough for our liking. Plus, the (very proper and clean) WCs were outside the gates, no admission required. Bonus! The bottom of the path up. Feeling pretty optimistic. Looking up to the peak and wondering if we're really up for this. Too stubborn to admit we aren't. 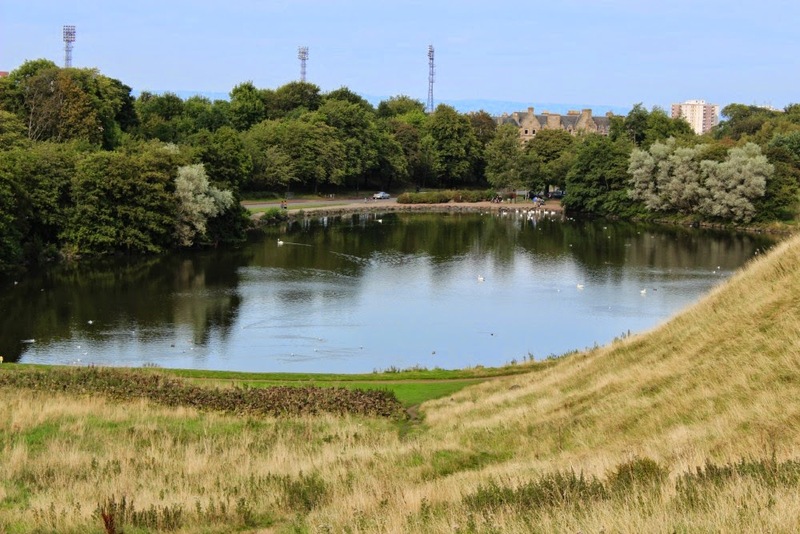 St. Margaret's Loch. Aka Swan Lake (to us, not to real people who actually name things). Old Stone Things! 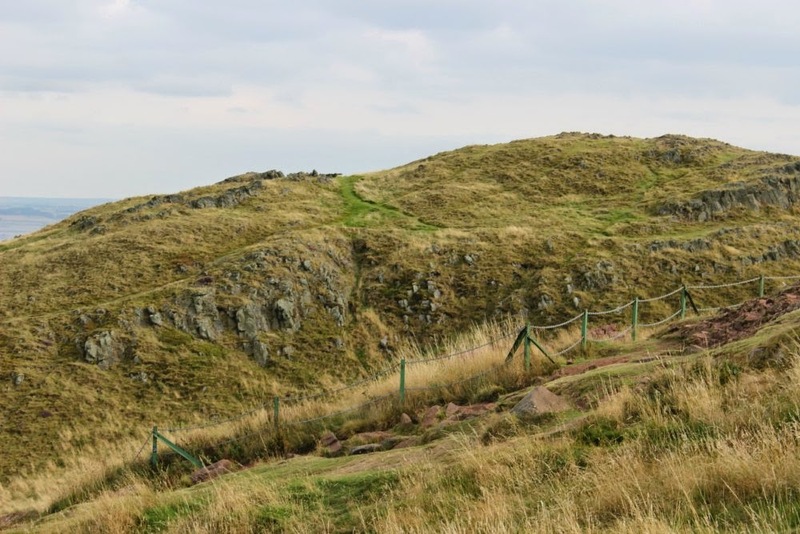 I couldn't quite figure out the path to get TO the stone things, so opted to observe it from afar. I believe it was the ruins of St. Anthony's Chapel, but to be honest, my map-reading skills aren't all that great, so I could be wrong. 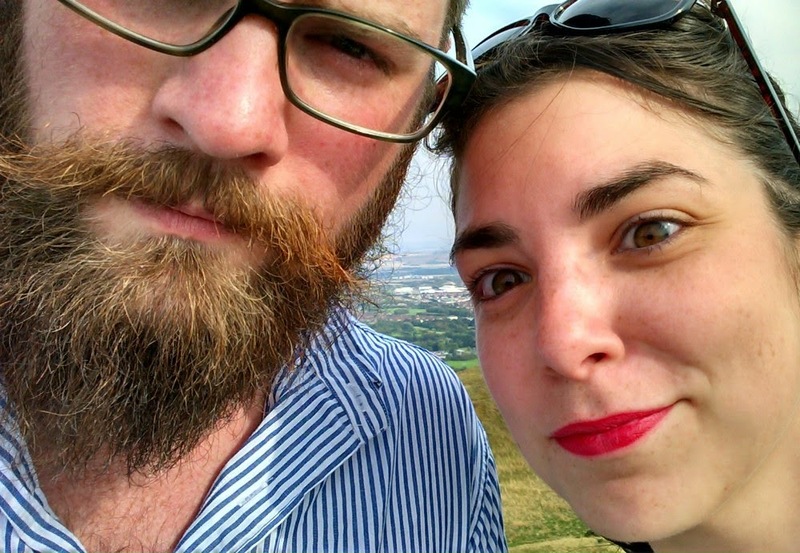 Not the most flattering picture (selfies are bad on me), but proof that we made it to the top! (second to the one of him in Rome in front of a salumi store... to come later on in this series). Heading back down. Yours truly very grateful for hand rails, because I'd yet again climbed up something I was afraid to climb back down. You think you're back at ground level, and then you're at the top of these stairs. Look at those little dots for people at the top! 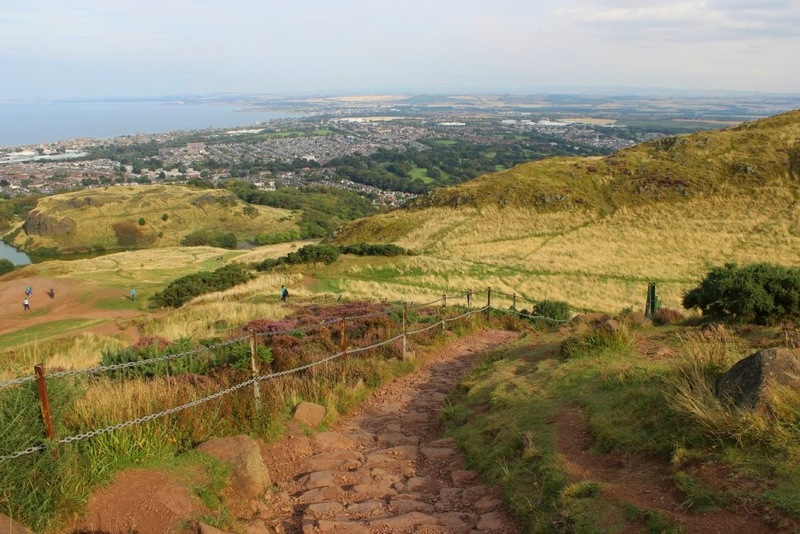 Our trek to the top of Arthur's seat and back took a few hours--it was definitely higher and generally larger than we'd anticipated--and it was worth every minute. 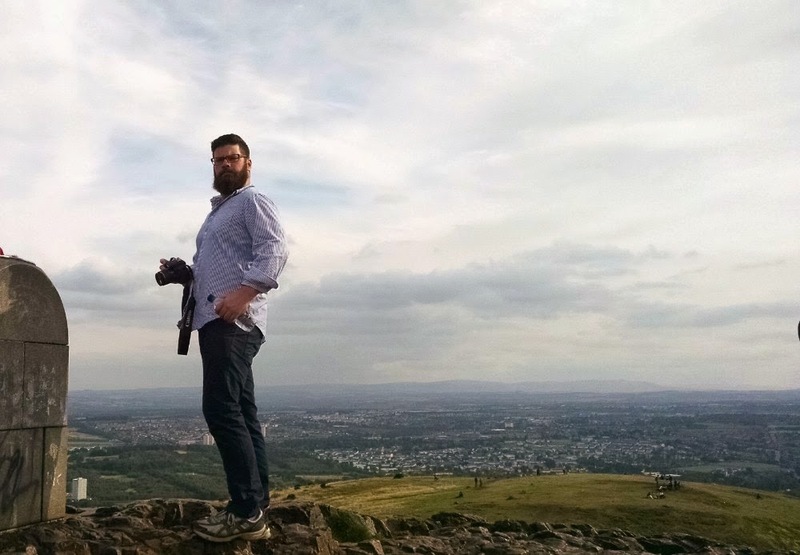 The Beard was grumpy going up and I was terrified going down and the whole way, we were both absolutely amazed that so much raw nature can exist in the middle of an otherwise bustling city. Essentially in the "backyard" of a palace, at that. 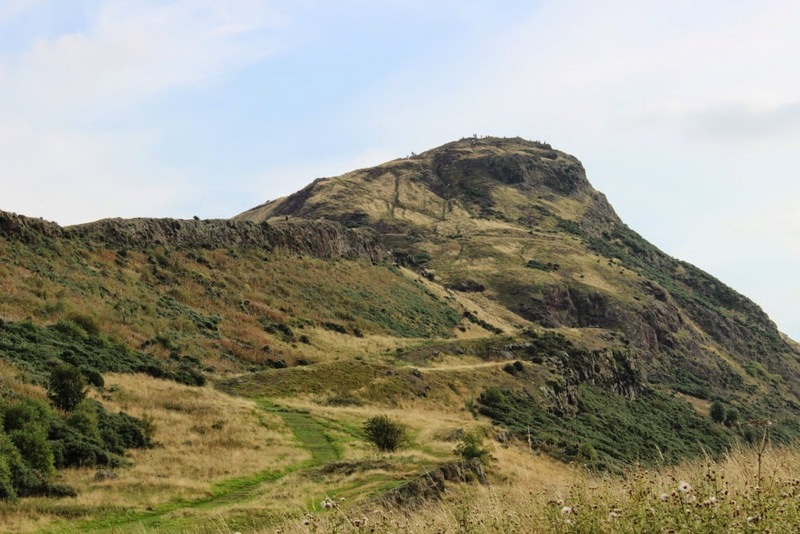 We walked down the far side of Arthur's Seat, landing us in the small town of Duddingston, where we had dinner and too many several drinks at The Sheep Heid Inn (fun fact: there's been an operating pub in this location since 1360, making it Edinburgh's oldest surviving licensed pub). 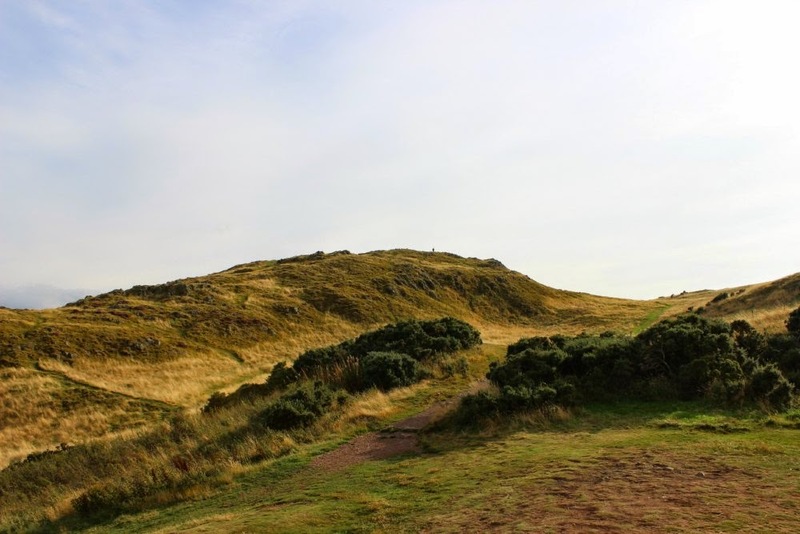 Then we waited for 40 minutes for a bus back to town (the not-at-all helpful guidebook we had listed instructions for getting to Duddingston after a day on Arthur's Seat, but not a word on how to get back). Oh, those pictures are great. 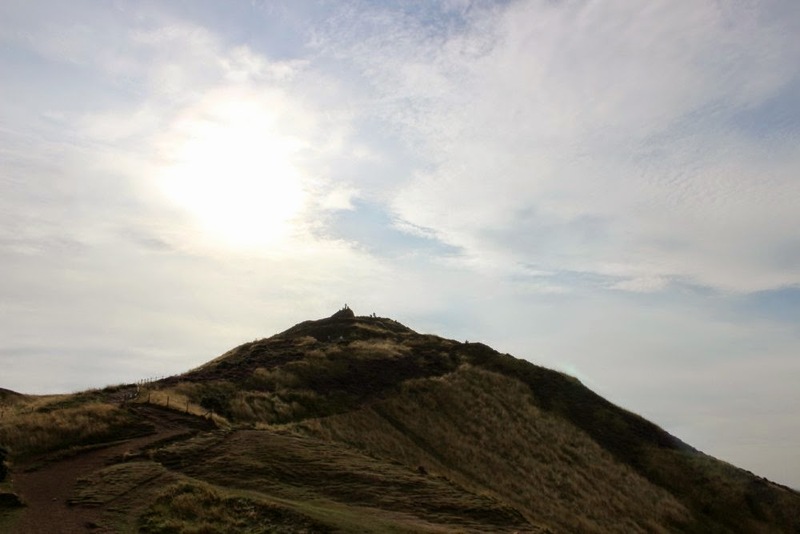 Very ambitious of you to climb the hill/mtn, and all the moreso if you have trouble climbing back down! Glad the photo of me caught my many double chins. I need to practice some Kardashian like poses. 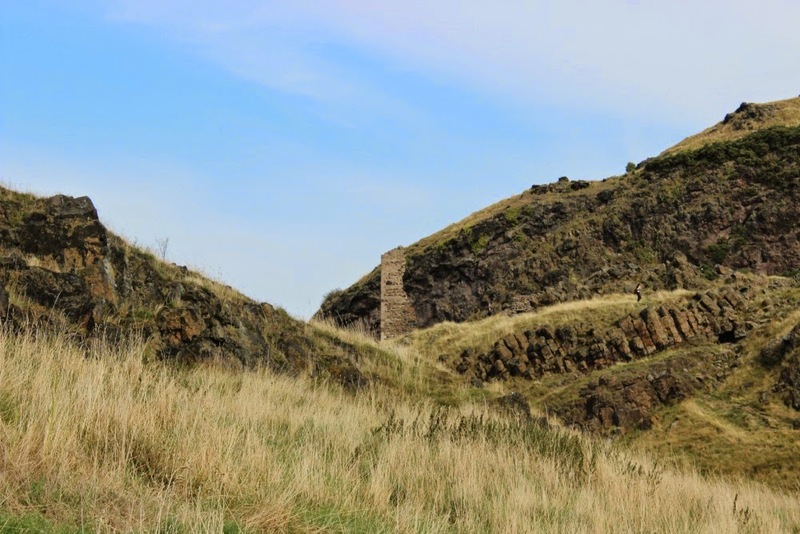 And now that it's spring I have taken to going over to Holyrood Park, at the bottom of Arthur's Seat, at least once a week for a run. 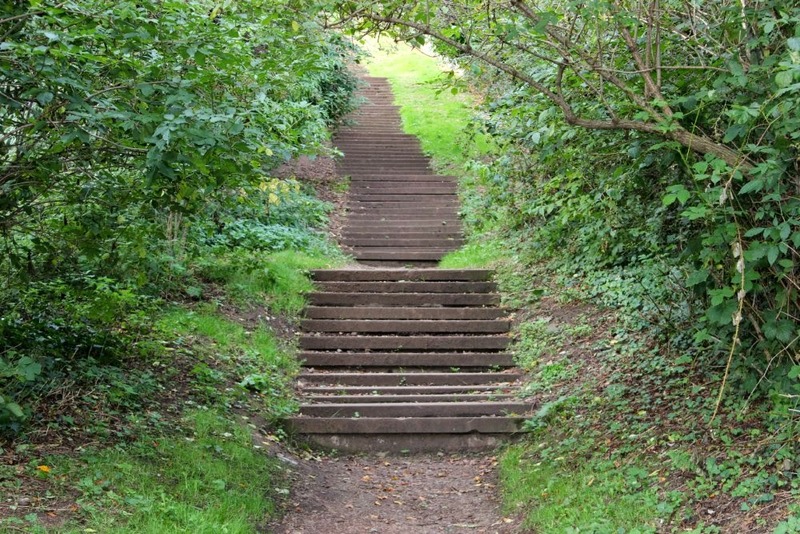 Lots of great paths that go around, rather than up! 1. That lipstick is on point, girl. 2. That selfie is actually totally great, no idea what you're talking about. 3. I can so relate to climbing up things I'm afraid to climb back down! There's a couple of cliff formations in New Haven, and my boyfriend and I hiked up one recently. One of the easiest ways back down were these crazy steep stairs—you better believe I was hugging the hand rails for dear life. 4. Thank you for sharing! So pretty, and so awesome that you got to meet another blogger. To be fair, I didn't realize how terrified I would be of going back down until I was already at the top and looking at the downward slope. So not ambitious so much as accidental (and required if I wanted to get to some form of beer and dinner...). Ha! I didn't think it was a great picture of either of us but it was the only one I had! Such is the life of selfies. 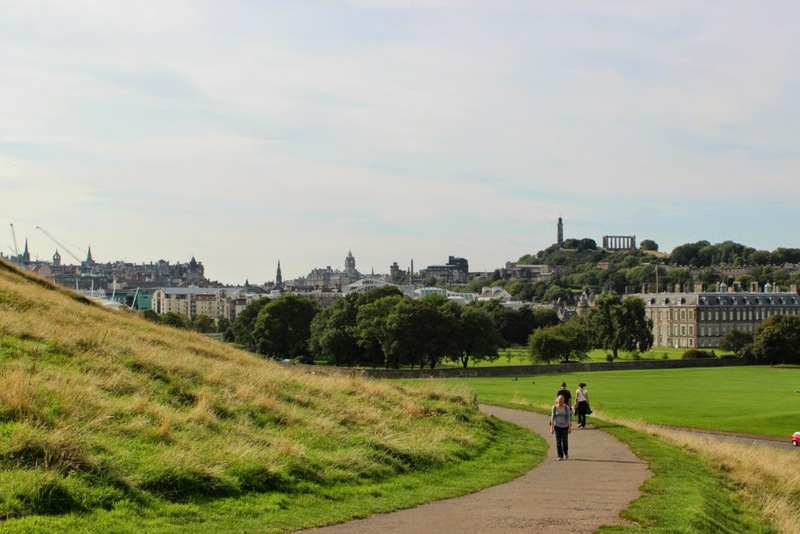 I bet the paths around Holyrood Park are gorgeous--especially in spring! Thanks again for meeting me when I was there (and sorry it took me SO long to get these pictures up!). It was so fun!! 1. That lipstick is the only makeup I packed on the whole trip. Revlon 24-hour Continuous Cranberry. I'm obsessed. 2. Selfies are inherently unflattering photos. 3. The down part is TERRIFYING! 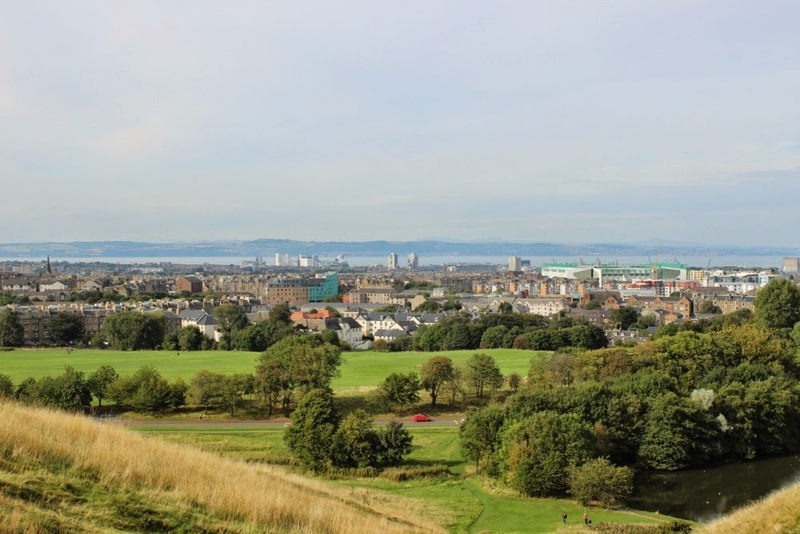 But I love being at the top of old stone things, so it kept seeming worth it. There were lots more buildings climbed on this trip that found me white-knuckled on the way down. 4. You're welcome! And to think I'm only a week into the trip... going through 4,000 photos takes a LOT OF TIME.